Drew Green might be Canada’s biggest cheerleader when it comes to eCommerce potential. Last year at the DX3 2013 conference in Toronto, the Shop.ca CEO gave a talk asking Canadians to “stop thinking about what was wrong” with eCommerce in Canada. He predicted three years ago that eCommerce would “come of age” in Canada, and the past year seems to be proving that prediction right. This year Green returns to DX3 2014 as a keynote speaker. He’s the man in charge of a one and half year-old marketplace that sells over three million products from over 2000 stores and over 5000 brands. His business grew by four times between the final quarter of 2012 and the final quarter of 2013, making his own venture living proof that eCommerce will thrive in Canada. The last statistics released by Stats Canada indicated that eCommerce hit $18.9 billion in 2012, up 24 percent from 2010. But critics have been quick to point out that Canadians have been late in embracing eCommerce, particularly when compared to the US and the UK. However stories like ShoeMe.Ca and Shop.ca point out that to achieve those monster numbers, a nation of shoppers need the infrastructure in place to spend their money. Canada has certainly been improving; countless companies are launching and competing to provide Canadians with choice (and hassle-free shipping, which seems to be a big in our country). Success stories like Frank & Oak in fashion and Well.ca in health products has provided inspiration. 2014 may well be the defining year in terms of the jump in eCommerce spending Canada can achieve. “The numbers speak for themselves,” Green told us in an interview. “There’s data from MasterCard that predicts that eight percent of all retail in Canada in December was done online. That’s a staggering number considering just a few years ago we were one or two percent.” For the amount of retail spending in Canada eight percent is a healthy number. Green built the Canadian startup Shop.ca from nothing, while competing with the likes of industry giant Amazon. Together with cofounder Trevor Newell, the pair started working on the e-commerce platform and digital marketplace in spring 2011, launching in July 2012. He said he’s excited about the next 10 to 20 years as more and more eCommerce entrepreneurs, retailers, manufacturers and distributers are investing in Canada. It’s going to take a village, and not just one company to move the nation forward in that respect. 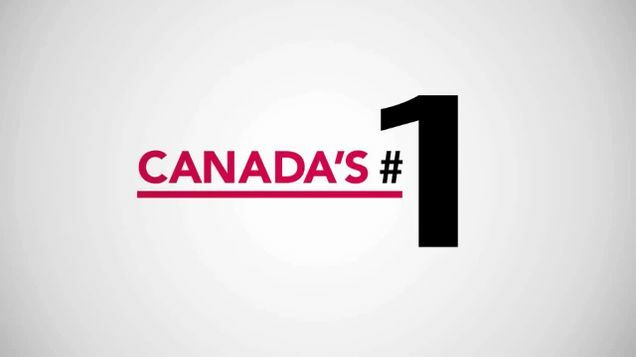 But Canadians have shown a desire, even a demand for a consistent customer experience across several sites. His talk this year will likely revolve around macro trends and opportunities that Shop.ca sees going forward in Canada. For a guy who’s company hit their first “million-dollar-day” in November, and given his track record in predicting things, we’ll listen up.